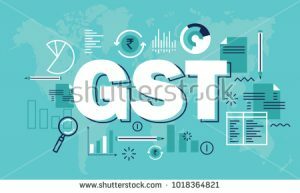 GSTR 9 should be filed once in a year by the registered taxpayers. It consists of details regarding the supplies made and received during the year under CGST, SGST and IGST. Due date of filing GSTR9 is on or before December 31 of the subsequent financial year. GSTR 9 : filed by the regular taxpayers filing GSTR 1. GSTR 9A : filed by the persons registered under composition scheme. GSTR 9B : filed by the e-commerce operators . GSTR 9C : filed by the taxpayers whose annual turnover exceeds Rs 2 crores during the financial year. is drawn up by the person who had conducted the audit) is given in the link. Only after validating data from system,the taxpayer would be able to file refund application. All the invoice details are to be provided in a single statement.Taxpayer is not required to upload multiple statements for different periods separately. consideration with respect to such supplies is to be collected by the operator. before the thirty first day of December following the end of such financial year. annual statement, whichever is earlier. persons in such manner and within such time as may be prescribed. is communicated in such manner as may be prescribed. amount so added from the date such tax was due till the date of its payment.